I LOVE starting back in the middle of the week. If you start back on a Monday, there's too much time to fill because it's too early to start a "real" week of learning. 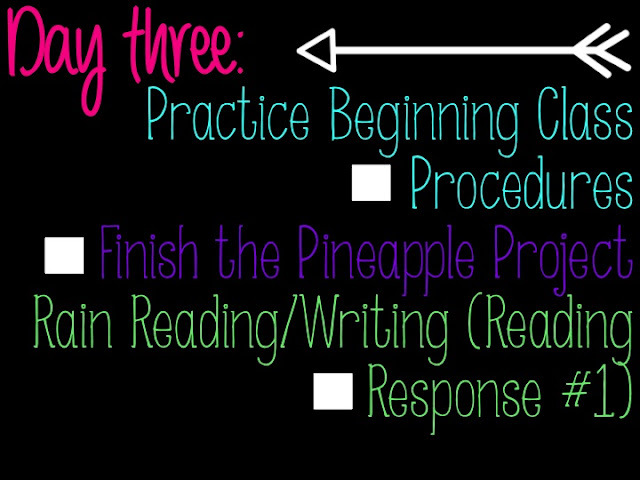 Even in fifth grade, the first week is all about procedures! When I transferred from first grade to fifth grade, I thought the kids wouldn't need to go over procedures...they're fifth grade. They should know what to do by now. Umm...no. I was dead wrong on that! Yes, they aren't six year olds anymore and they've been in school for 6 years by this point, but they haven't been in your class for 6 years. They need to be taught how YOUR classroom works! So for the first three days, we do "get to know you" activities and work on our classroom procedures. My biggest tip that I've discovered over the past three years of teaching fifth grade is to not OVER PLAN. This is a major difference in fifth grade and first grade. I always ran out of things to do on the first few days of first grade. When I needed to individually test students on letter recognition and sounds, I needed something for my other students to do. I always needed more! In fifth grade, I've found it's better to NOT over plan, especially if you are departmentalized. I only have each group of kids for an hour and 15 minutes, so if I over plan, they have to finish that work the next day and that can easily lead to getting off track. Here's my first 3 day plans! I'm introducing myself with my 50 facts presentation. Let me know if you want to see my classroom rules and I'll post them. You can find my student interest survey here, but this year I'm doing it through Google Drive using a Form. If I can figure out how to share this form, I will. Begin the Pineapple Project. This is my get to know you activity. I've done my Faces of Fifth Grade activity in the past (read more about it here), but my love of pineapples has replaced it this year! We are selecting independent reading books on day two. I require all students to be reading a "chapter book" at all times and we won't visit the school library until the first full week, so a trip to the classroom library is a must! We are a 1:1 chrome book classroom, so we'll be going over technology procedures and getting logged into our accounts. 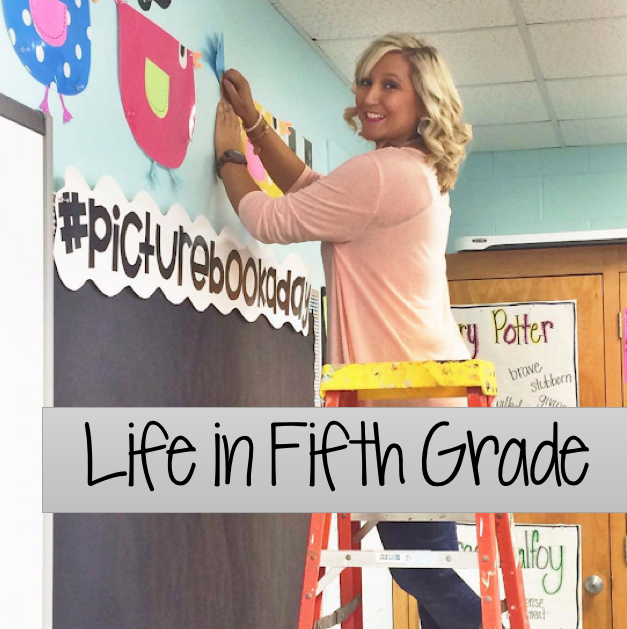 I am a departmentalized 5th grade ELA/Reading teacher and I get my students for about 80 minutes each day. 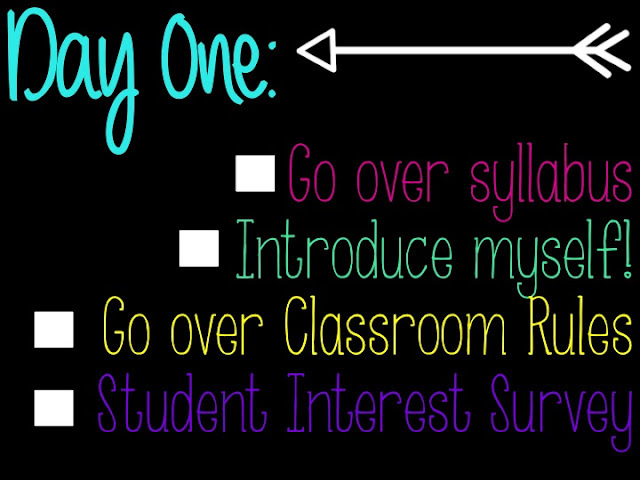 It would be very helpful to see your updated syllabus, rules, and beginning class procedures! 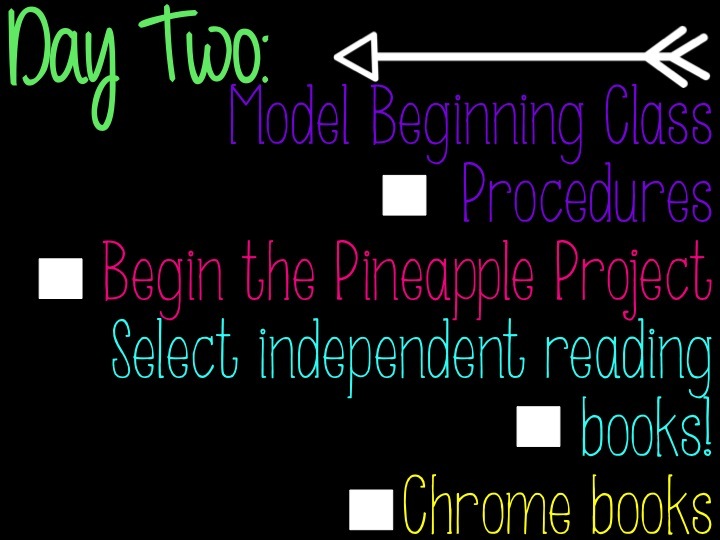 This is my second year teaching 5th grade and I would love to read about different ideas for how to run my classroom. Also, how do you manage pulling small groups? I always seem to run out of time trying to fit in reading, grammar, spelling, and writing! Thank you for all of your help! All of your resources and blog posts were incredibly helpful last year as a first year teacher in a departmentalized 5th grade! I'm in the same boat as you and would love to know the answers to your questions. I am also going into my 2nd year of departmentalized ELA (3rd year of 5th - 1st year was all subjects) in 80min blocks. I have trouble as well with time management and getting all procedures in before having to jump into curriculum. I also like to incorporate a lot of community building in first couple of weeks so learning your procedures would definitely be helpful...❤️���������� thanks!! I am a departmentalized fifth grade teacher teaching reading only for a 60 minute block.I love all of your resources, but I am not quite sure how to fit it all in. Is there any way you could share a typical class schedule so I can get a grasp on how others are doing it. I would greatly appreciate it. Thank you for always sharing! Do you have a scope and sequence that you follow throughout the year? I will begin teaching 5th grade next year after 13 years in third grade. I would love any help you could offer. I am also curious of scope & sequence. Thank you for any help you can send my way! Please post class rules! This will be my first year teaching fifth. I'm also departmentalized. What do you do for language arts? Would love to know more about your Beginning Class Procedures. With the guided read aloud what do you mean? Is it just you and the book whole class or do you in small group. You are giving me so many ideas. Thank you! I would love to know more about your beginning class procedures and what your class rules are. I am going into my first year in 5th and being departmentalized. Do you all have the same class rules or are they different from teacher to teacher? I am loving your blog!! This is going to be my first year as a 5tg grade ELA teacher. 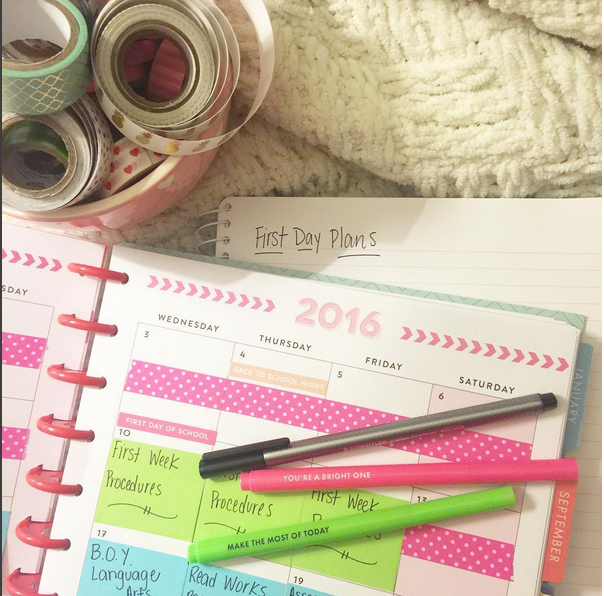 I love reading your blog and learning what great things to do this year. I would love a more detailed post about your beginning of class procedures and your classroom rules. Are they just for your class or do all of the 5th grade teachers use the same rules? This is wonderful! Thank you so much. I will be departmentalized for the first time ever, 4th and 5th ELA and SS. Would you be able to provide more information on your read aloud and on your classroom rules? Thank you so much! Please share your updated syllabus...I am especially interested in how your vocabulary cycle will work this year. I know you mentioned a 10 day plan last year...How did you like that? Thank you for all of your sharing! This is going to be my first year teaching fifth grade. Like you, I am also teaching reading. Would you pleas post your updated syllabus and classroom rules. Thanks so much!